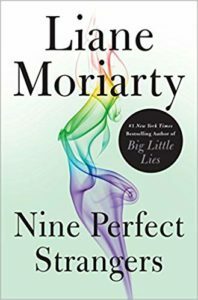 I guess that I first have to admit to never reading any of Liane Moriarty’s books before. I did thoroughly enjoy the television adaptation of “Big Little Lies” but I think I just assumed that her books would be those that I like to classify as “better to watch than read.” I don’t think that I was either fair or correct about that. At least about this book. This was a page turner. I really had no expectation that I would enjoy it as much as I did after it was selected by my book club. That is often the beauty of book club for me. Octothorp pretty handily explained the premise (with advance spoiler alerts), so I’m not going to get much into plot here. The basic idea is that 9 people with various issues to sort out sign up for a 10 day health retreat run by a former corporate executive who had an epiphany after a near death experience. Each of these “guests” get much more than they bargained for. I definitely liked the book version better of Big Little Lies. It was funnier, mostly. The TV show was so dramatic, and it had all that melodic, slow music to it. I wondered. This book is so funny and there was very little snark in the tv version of Big Little Lies.